If you want to file for bankruptcy in Ohio and lack the money to hire an attorney, legal aid organizations might be able to help you. Assistance is available from the Ohio State Legal Services Association for people who qualify based on low-income eligibility requirements, and you might be able to get help from other legal assistance programs even if you don't meet OSLSA's income eligibility standards. You also have the option to handle bankruptcy pro se — representing yourself — but it generally isn't a good idea. Bankruptcy laws are complex, mistakes can prove costly and lead to a dismissal of your case, and bankruptcy proceedings have both short-term and long-term consequences. There are a number of regional legal aid societies in Ohio that provide assistance throughout the state for noncriminal cases. Each society is staffed with attorneys and paralegals. In addition, OSLSA provides federally-funded legal services through its nine offices, which represents 30 of Ohio's 88 counties. It acts "as general counsel to Ohio's poor." You can find a legal services program in your county or near your zip code by visiting the Ohio Legal Services website. As the Ohio Legal Services website explains, the general rule is that clients must have an income less than 125 percent of the Federal Poverty Level. However, this is not a hard-and-fast rule and income requirements are more restrictive in some situations and less restrictive in others. To find out if you are eligible for representation, contact your legal services office and fill out an application. You can get help from Ohio legal aid providers for a variety of consumer issues, although because of limited funding, each legal aid office determines the types of cases it will handle. 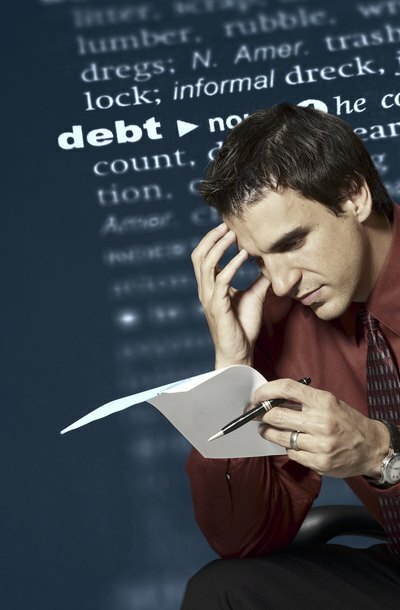 In addition to bankruptcy representation, you often can get help with family law issues, landlord and tenant disputes, access to health care, and problems with obtaining benefits, such as food stamps or unemployment insurance. Filing for bankruptcy protection might enable you to erase certain debts, including credit card and medical bills, avoid foreclosure on your house, prevent repossession of your car, stop your wages from being garnished and prevent your utilities from being shut off. However, bankruptcy doesn't protect you from certain debts, such as child support, student loans and some tax obligations. Even if you don't meet the income requirements to receive free legal services, there are other ways to obtain legal assistance at low or no cost. You can find attorneys in your area who might provide discounted or free legal work by utilizing the referral services of county and state bar associations. Such programs rarely have income requirements. If you are facing debts that would take more than five years to pay off, have assets at risk such as a house facing foreclosure, or cannot cover your daily expenses and pay off debts with your present income, you may be a good candidate for bankruptcy. However, exemption limitations and negative effects on some careers and credit records mean bankruptcy is not appropriate for some people, even if they have overwhelming debts. Can I Get Judicare to Help Me Get Divorced in Wisconsin?